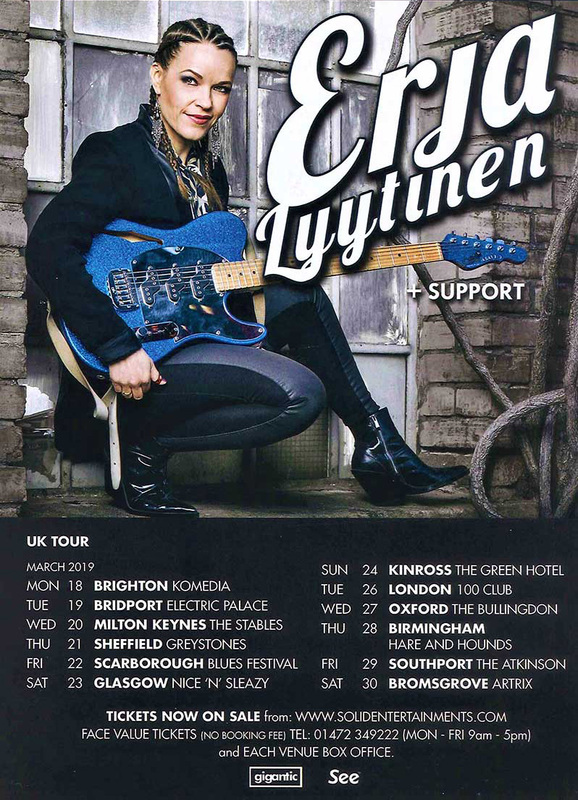 European Blues Award winner Erja Lyytinen will return to the UK in March 2019. The Finnish slide-guitarist is currently on a short tour of the UK and is pleased to return for a nationwide 12-date tour in 2019. The tour will include shows in Brighton (March 18), Sheffield (March 21), Glasgow (March 23), London (March 26) and Birmingham (March 28). Tickets for all dates are available now via www.solidentertainments.com or from the Box Office (no booking fee): 01472 349 222 (Mon-Fr: 9am-5pm). Erja will release her new studio album in 2019 on her own record label Tuohi Records. The new album will feature guest performances from Sonny Landreth and Jennifer Batten (Michael Jackson). The album will include Erja’s two new singles “Without You”and “Another World”, which were released digitally in 2018.